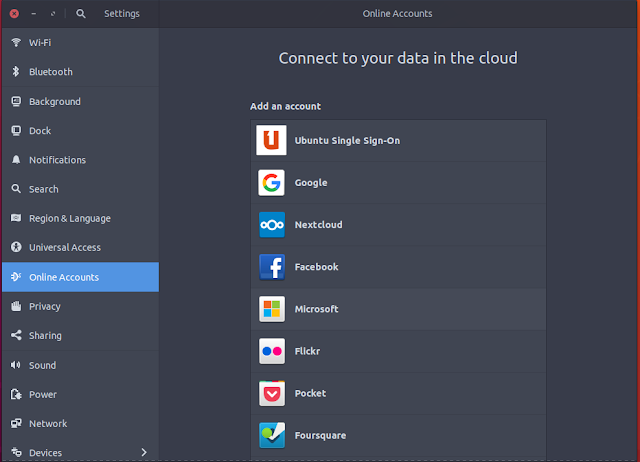 ubermix 4 brings with it myriad improvements and upgrades, including a new user interface based off of Gnome Shell. 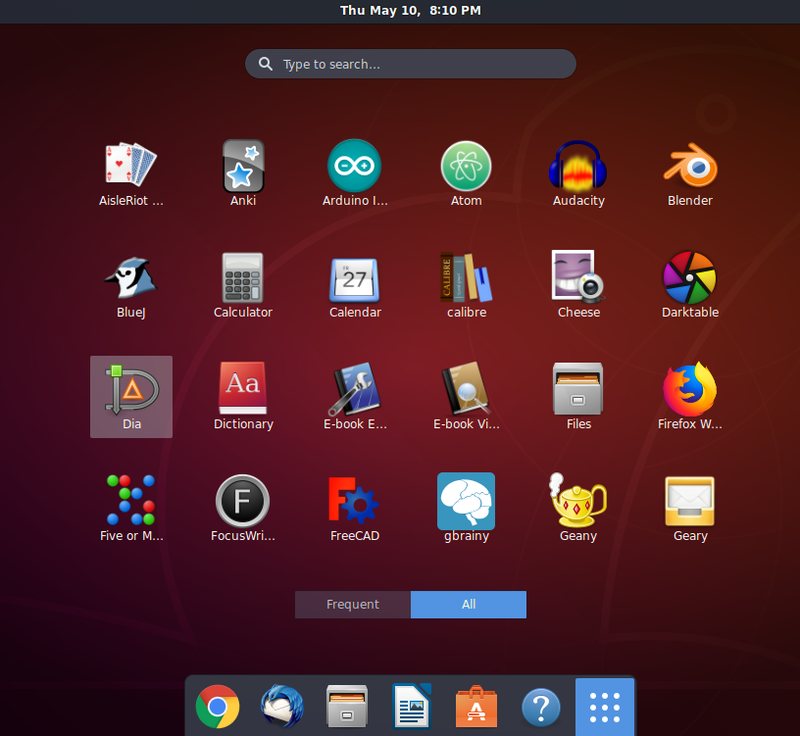 Gnome Shell brings ubermix more in line with the mainstream Ubuntu release, making the user interface more stable and easier to maintain. As always, there are a number of changes we have made to improve the user experience and make using ubermix better-looking, easier and more intuitive. 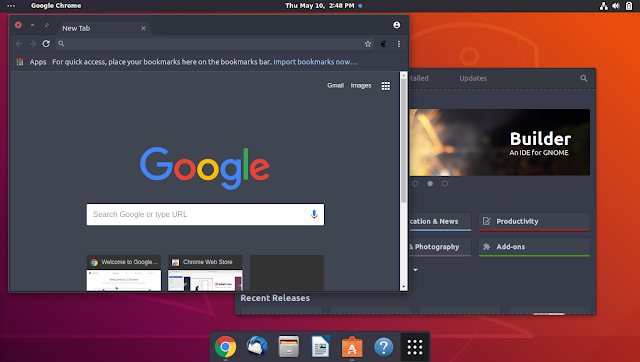 At first glance, you'll notice a number of similarities with prior versions, like the familiar dock along the bottom, the same beautiful dark theme, and similar taskbar along the top. However, once you get into it, you'll find some significant differences and improvements. ubermix 3 users will notice that there is no longer an "Applications" menu at the top-left corner of the screen. Applications are now accessed by clicking on the commonly used "grid" icon at the far right of the dock. Clicking on the grid brings up a touch-friendly, full screen list of available applications, along with a search box and a toggle that lets you switch between frequently used and all applications. As a shortcut, users can simply start typing here to quickly narrow the list. Either application names (like "openshot") or functions (like "video") may be entered, and related applications will automatically appear. The system will also search for matching files and additional applications in the Ubuntu Software Center that are available to complete a task. Selecting an application from the software center brings up an install window, enabling the user to install and use the application right away. Experienced users will notice that the Applications menu has been replaced by the Overview button (three dots) in the top-left corner. Clicking on it brings up an overview of running application windows, as well as a list of workspaces along the right. It may also be summoned by pressing on the "Super" key (usually the Windows key on most standard keyboards). From the overview, users can simply start typing to locate and run an application, or select an open application window to switch quickly to that application. A less regularly used feature are the workspaces, which are visible along the right edge of the overview. Open windows may be grouped on workspaces by simply dragging them to the desired workspace on the right. You may also switch between running workspaces by simply clicking on a workspace in the overview, or by pressing the Super+PageUp or Super+PageDn. Power users who like to keep a large number of applications running often find that workspaces make organizing activities easier. 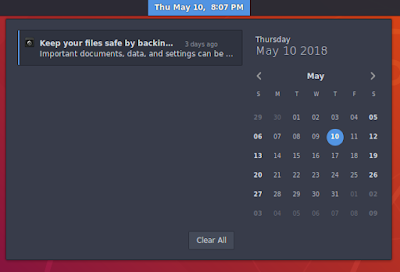 At the center of the top bar, users can access the Calendar/Notification tray by clicking on the date/time. The tray gathers a variety of application notifications in one place and, if used with the Calendar app, will display the day's agenda as well. 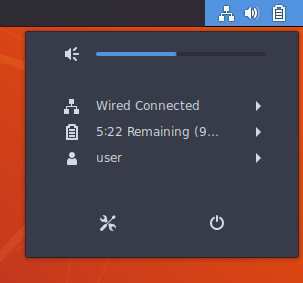 Finally, at the top-right of the screen users will find the system tray, which contains several indicator icons that tell you something about the state of your device (icons vary based on the system configuration and installed applications.) The far-right indicator icons serve the dual-purpose of providing access to settings and power options when clicked. Quick access to brightness and volume controls are here, as well as wireless settings and other options. At the bottom-left, there is a settings button that will bring up the main settings control center, and a power button which, when clicked and held, will switch to a suspend button. There is also now extensive cloud service integration, including Google Apps, Microsoft, and a variety of other services. Use these to synchronize your calendars, contacts, files, posts, and other content from your favorite online services. Less visible features include the ability to automatically split the screen equally by docking an open window to the right or left side of the display, which can be accomplished by dragging the window all the way to the right or left, or pressing Super+Left or Super+Right. Since the UnionFS functionality is now built-in to the generic initrd, turning it off is now handled by adding "aufs=off" at the end of the "linux" line in the grub menu, rather than changing the initrd line to generic as in prior versions. While the prior version handled kernel updates reasonably well, it is now safe to update the kernel and grub, without risk to breaking the configuration. Be sure to disable the UnionFS overlay prior to doing this, or your changes will not take effect. Disabling the auto-hostname setting is now performed by disabling the systemd service through a "sudo systemctl disable update-hostname.service" in the terminal. By default, any administrative user (ie a user in the adm group) will never have to type in a password to run any system application, including software installers and other admin tools. To setup the default user account in a more restrictive, standard user mode, we recommend creating another administrative user first, logging in with that user, and then removing the user account from the adm group. You can further restrict the user by removing it from the sudo group, which will prevent it from using a passwordless sudo command from the command line. Enjoy! Be sure to share your thoughts and feedback both here and on your favorite social media platform. Congratulations on a great release! 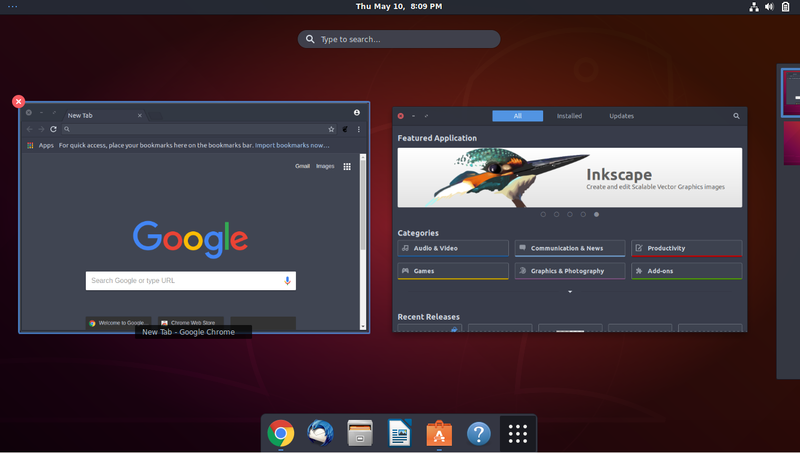 Looking good, and I for one am really happy about the move to Gnome Shell. It should also make your life easier for maintenance going forward. Worth noting that if anyone wants a more Windows-like environment, the Dash-to-Panel extension works great.